I picked up a couple Arturo Fuente Anejo Reserva No. 55 cigars at Nat Sherman on 42nd st after realizing that I had smoked most of the newer brands available at the shop. But before the review, a confession here: I haven’t smoked as many Arturo Fuente cigars as I should have over the last seven or eight years smoking cigars. Part of the challenge is that there has been a glut of really great product these last few years from exciting new brands, so it’s easy to forget some of the standby brands like Fuente and Ashton. So I was excited to be putting together a review of the Anejo Reserva No. 55—it’s a beautiful cigar that provides a great smoking experience as you’ll read below. 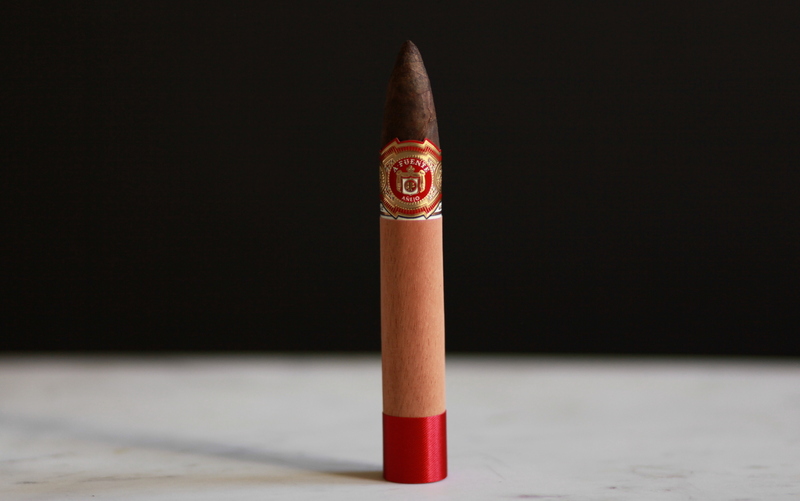 The first thing I notice about the Arturo Fuente Anejo Reserva is that the Connecticut Broadleaf wrapper is extremely rough, with some imperfections. 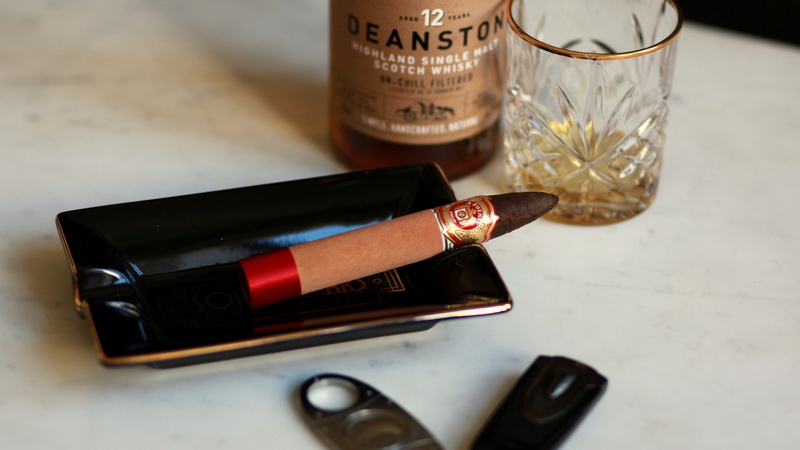 The cigar features the traditional Fuente band with a dominant white offsetting the common gold and red colors. The smell off of the foot brings aromas of hay, mulch, coffee and a heavy leather. The pre light draw is very spicy with a sweet earthiness. The draw is good, with a healthy amount of resistance. The Fuente Anejo Reserva No. 55 opens with a creamy texture and notes of coffee, leather, and Fuente’s signature vegetal note (probably closest to grass). The smoke is medium bodied and sweet. Smoke production is great, and the ash is sturdy and almost completely white. At an inch in, the spice from the prelight draw is ramping up, especially on the retrohale. It’s similar to very finely ground black pepper, with a slightly savory quality. In the second third, the body and spice of the cigar increase significantly. The smoke is also richer and sweeter. At halfway, I’m thoroughly enjoying this cigar—it’s telling a great story, weaving the flavors together really well. The final third is mostly the same, though the leather is more pronounced and has an earthy quality. The last ten minutes or so ramps up even more, probably due to the reduced ring gauge caused by the tapering. You really can’t go wrong with the Arturo Fuente Anejo Reserva. But that’s true of so many Fuente products (the Magnum R and Don Carlos come to mind). The Anejo Reserva brings to the table so much of what makes Fuente great, with a lot of complexity to boot.